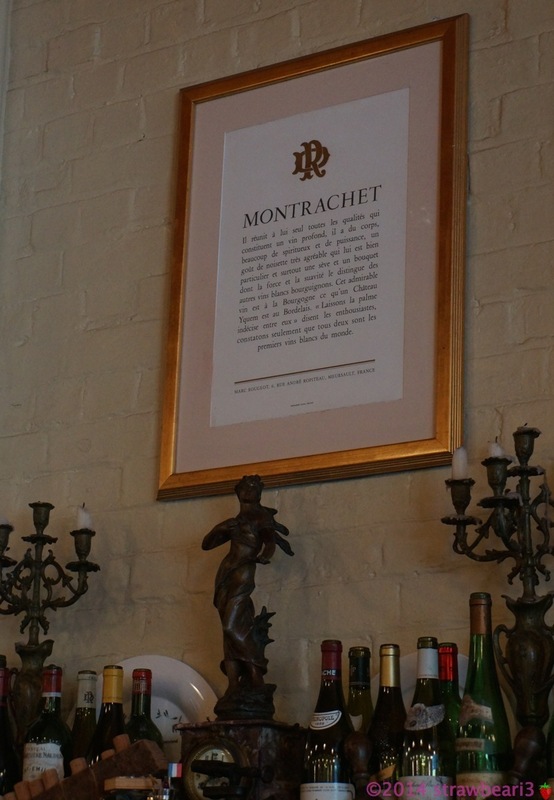 I have heard many good reviews about Montrachet but hadn’t had the chance to visit it until last week. The restaurant does not open on Friday night or weekends which makes it harder for us to go. 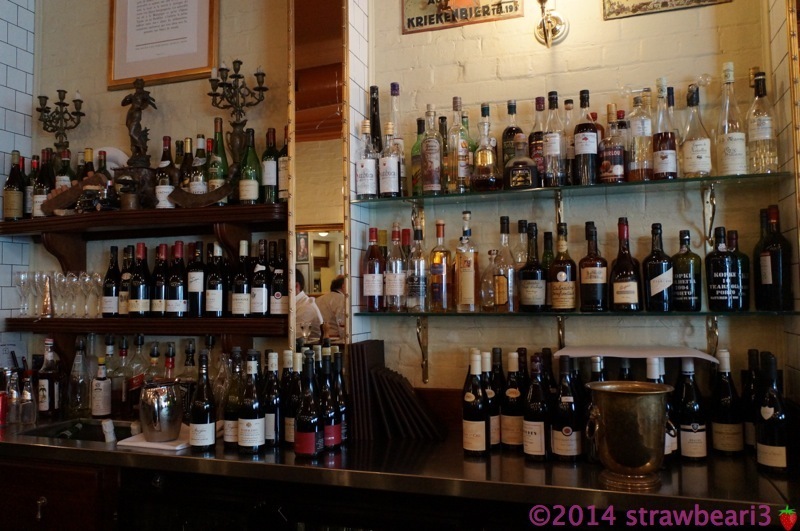 We had a week off work last week and thought it was the perfect time to visit this restaurant. It was an impromptu decision but thankfully when we called to make a reservation the day before, they were able to book two seats at the bar for us. 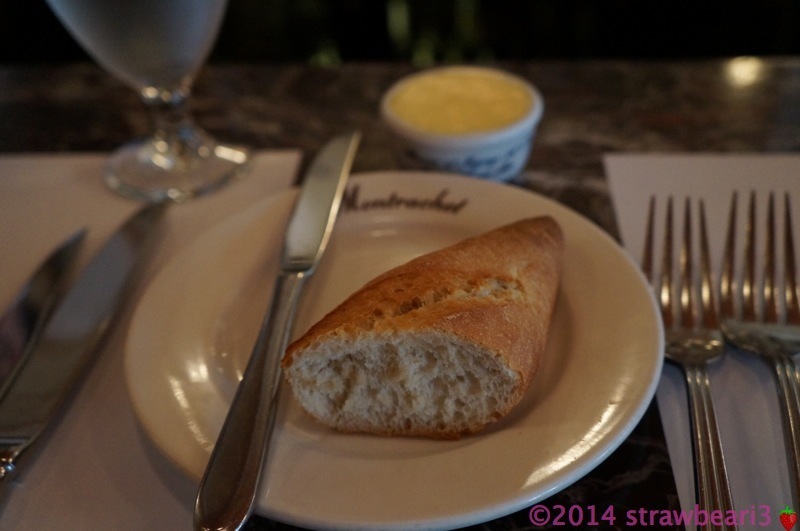 We started with a basket of French baguette with butter ($5) while waiting for our dishes. I love butter so that was a good start. 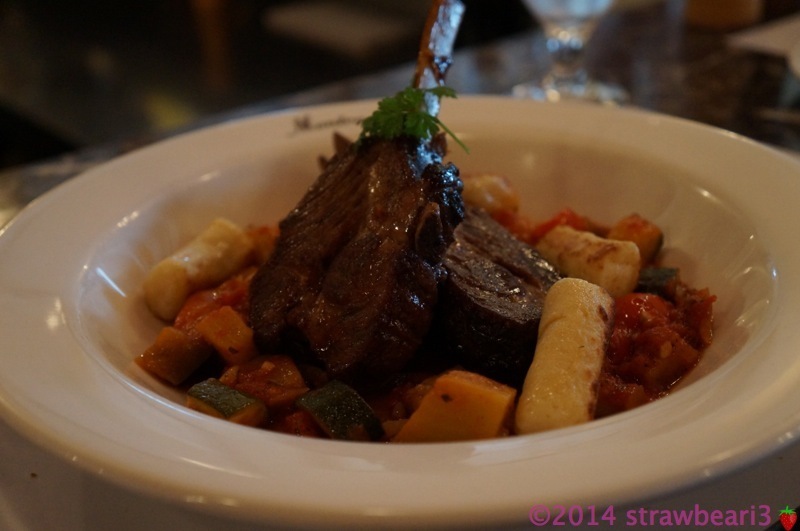 For mains, I ordered L’Agneau sa Ratatouille et ses Gnocchi ($42). It was a dish of slow baked lamb rack, ratatouille Niçoise and fluffy parmesan potato gnocchi. I am not usually a fan of gnocchi as I perceived it to be stodgy and heavy, but the ones in this dish changed my mind. It was light and fluffy as described. The lamb was melt in your mouth tender and well complimented by the vegetables. It was a complete meal in itself. 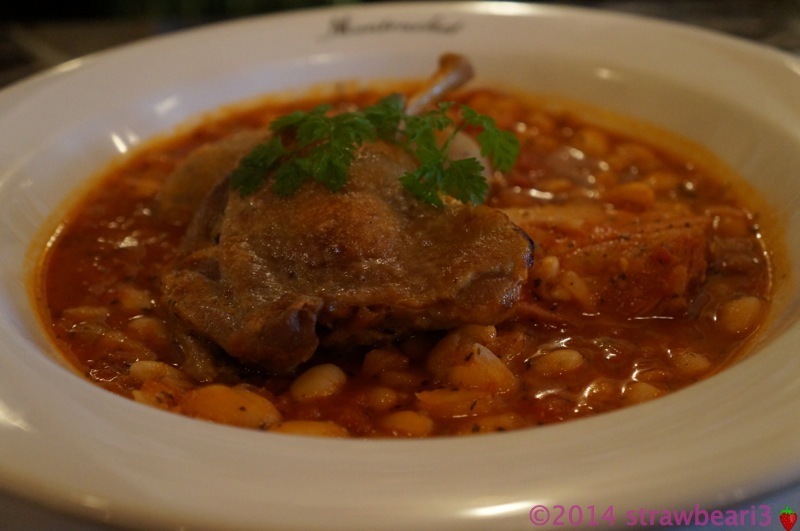 D ordered the Canard en Cassoulet ($42). It consisted of hearty white bean casserole with confit duck leg, Toulouse sausage and smoked pork belly. I had a spoonful of the white bean casserole and fell in love with it. I love anything that is tomato based and this was perfect. The duck, sausage and pork belly was delicious too but it was the casserole that tied it all together. We also ordered a side of Sautéed green beans ($9.00) and Homemade Pomme Frites ($6) to share. I was really enjoying the meal that I had forgotten to take a picture. The pomme frites was good – well salted and crispy. As for the green beans, I find it to be just average compared to everything else we had in front of us. 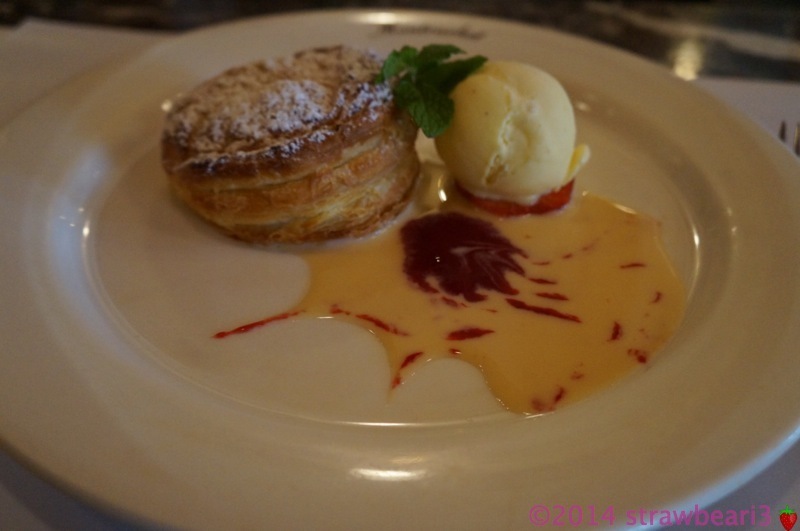 For desserts I had the Poire et Pomme Pithiviers ($11). It was a pastry torte of pear and apple puff baked to order and served with Calvados crème Anglaise and vanilla ice cream. I was very impressed with this dish. In fact, I could smell it the buttery pastry when the dish was put in front of me. It was that good! D had the Crêpes Suzettes ($11). 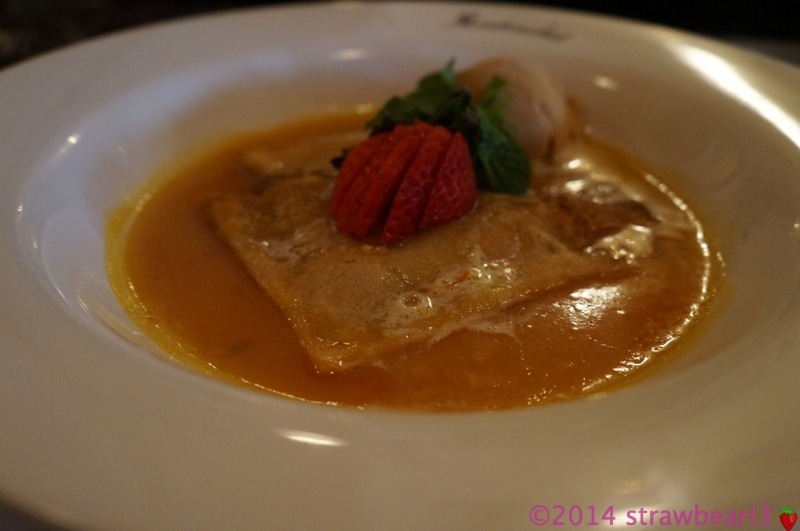 It was a French classic crepe served with Grand Marnier orange sauce and burnt caramel ice cream. I did not try the dish but according to him the crepes were thin and tasted good with the sauce. 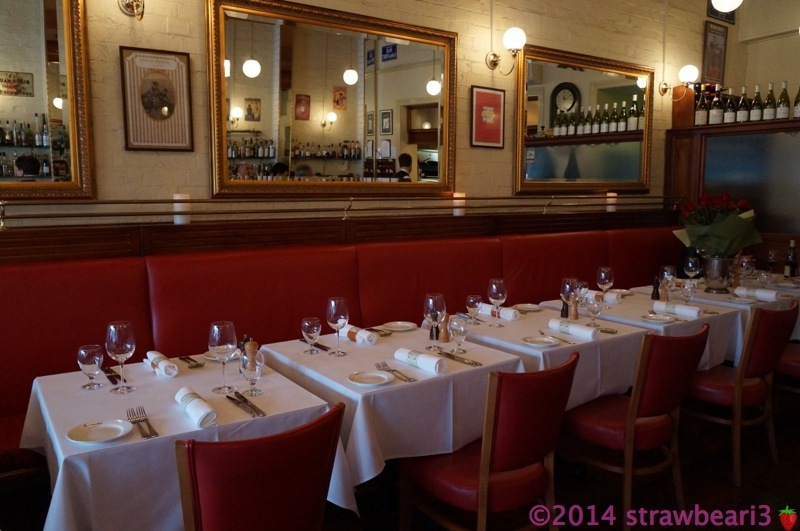 We really enjoyed our dining experience at Montrachet and will definitely be back. Our only regret was that we didn’t discover this place earlier.